Mini Mansions' behind-the-scenes look at their Lexington show. Mini Mansions have released a behind-the-scenes look at their London show at the Lexington, which they played last month on January 19th. Keep an eye out for the Alex Turner cameo! MusicThe Last Shadow Puppets announce new album, 'Everything You've Come To Expect'. MusicMini Mansions and Kimbra performing 'Sherlock Holmes' together live. MusicWatch: Mini Mansions and Alex Turner perform 'Vertigo' live at Hollywood Forever Cemetary. 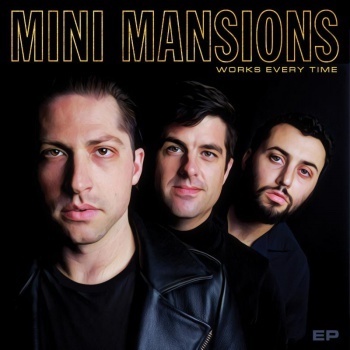 MusicInterview: Mini Mansions' Michael Shuman on their 'Works Every Time' EP. MusicMini Mansions - 'Heart Of Stone' music video. MusicMust-watch: Arctic Monkeys covering Tame Impala’s 'Feels Like We Only Go Backwards’.